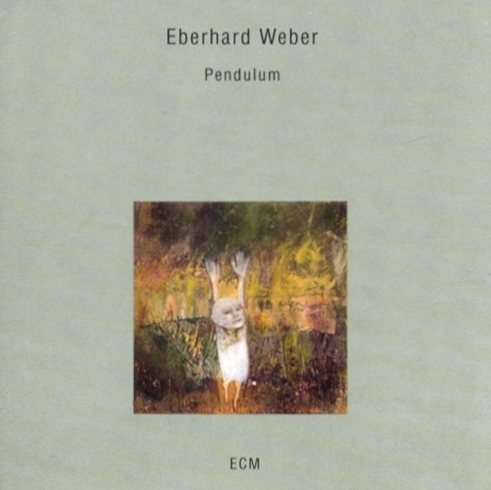 Eberhard Weber, perhaps best known as bassist for the Jan Garbarek Group, in addition to his own string of classic ECM albums as leader throughout the 1970s and 80s, brings his 5-string electric upright into a more focused spotlight with Pendulum. This solo date from 1993 marks yet another evolutionary step in this unmistakable musician, whose wings discover fresh space in which to flap in “Bird Out Of Cage.” Through its menagerie of overdubs and loops, Weber navigates the pops and jagged peaks of spontaneous creation. Yet despite its skyward beginnings, Pendulum tells an earthbound story that turns in its own cycle of life. Maternal shores skirt paternal oceans in “Notes After An Evening,” while in “Delirium” Weber unfurls visceral diversions against a droning canvas. “Children’s Song No. 1” picks up the thread, swaying to the rhythm of a playground swing, and continues to spin it into “Street Scenes.” Playful harmonics carry over into the meditative “Silent For A While,” reaching out to the birds that brought us here. The title track hones a robust thematic edge, dancing its slow dance across a hundred dreams and lifetimes, leaving “Unfinished Self-Portrait” to drip equal parts whimsy and grandiosity into the comforting “Closing Scene,” tingling with the taste of destiny. With unerring delicacy yet with a weightiness that oozes security, Weber treats his bass at times pianistically, at times chorally, and often as both at once on an album that offers an intimate look at his compositional sensitivity. One of his absolute triumphs in that quiescent, fluid way he has.